Need to cut a lot of aluminum or copper? The CS-355M high-speed cold saw turns at 3,200 rpm, perfect for making pristine cuts in soft metals without gumming up the blades. 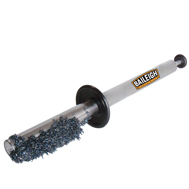 Accepts up to 14” blade. Miters 45° right and 90° left, great for slotting applications. 5.5 hp motor drives a belt pulley system to achieve maximum RPMs as efficiently as possible. 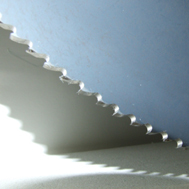 We based the design on our CS-350M cold saw, known for its reliability over many years of cutting. Self-centering American-style vise saves you the trouble of making changes to fit different diameters of tube or pipe. 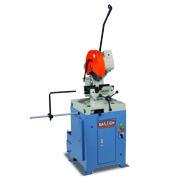 Floating vise clamp independently holds the jaws (on the left and right of saw blade). Vise extends blade life by securely holding both sides of the cut material without dropping them into the rotating blade. Stop rod allows you to easily set up repeatable lengths for production runs. 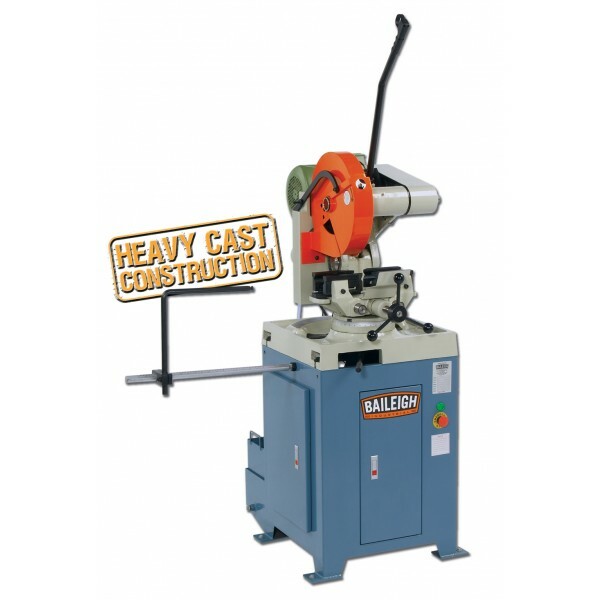 Heavy cast iron base keeps the machine stable, so that the blade will cut accurately throughout the saw’s lifetime of use. Flood coolant system maintains high cut quality and helps blades last longer. Replacement parts are in stock, so you can get them quickly. 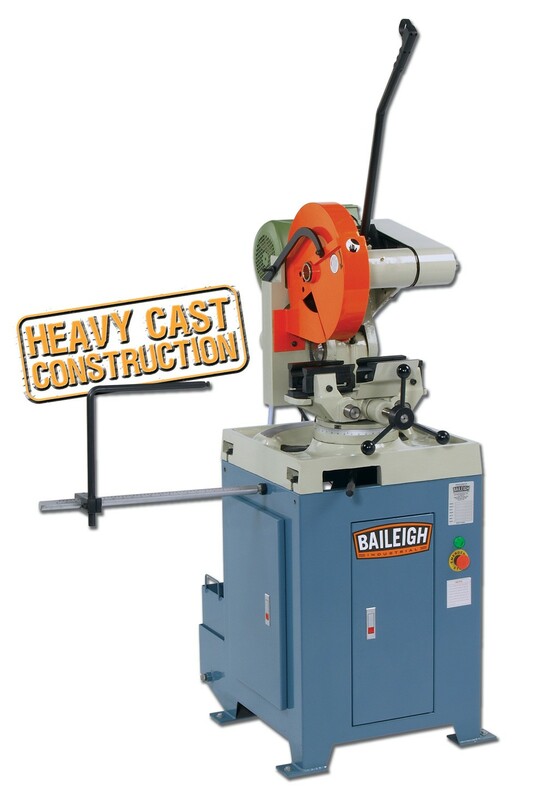 Baileigh covers this circular cold saw with a 1-year parts warranty. Comes with lifetime technical support by phone. Call up our team of service reps—all with hands-on machine experience—whenever you have a problem.